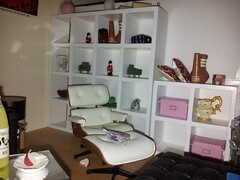 Oh, I love the teeny chairs being displayed in the white storage blocks! I love that the rubix cube is all mixed up. Cool room!